When we visit Walt Disney World we are always on the search for something extra special to upgrade our Disney vacation. Disney offers special experiences like tours and events to help make vacations more magical and meaningful. Since we always visit as a family, we’re always on the lookout for the kid-friendly, multi-generational stuff that everyone will like. Here’s our quick list of family-friendly special experiences we’ve done and LOVED so far. 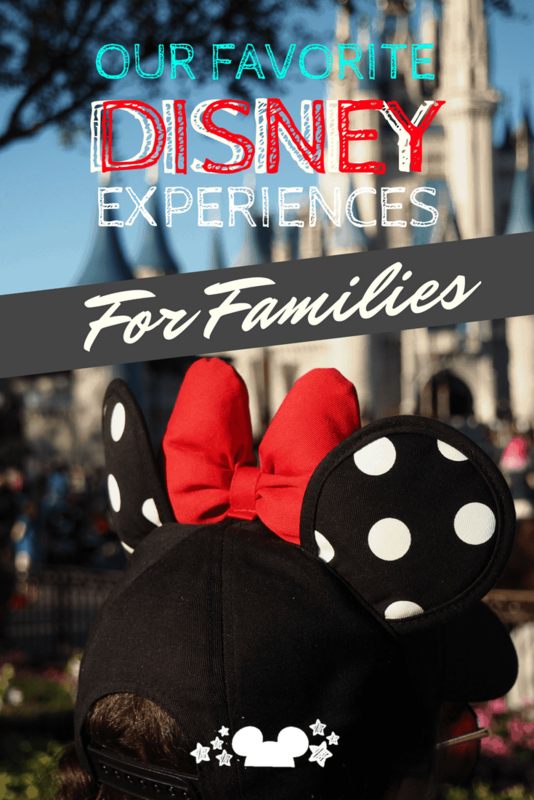 Disney is always a magical time but we love adding those special Disney experiences that really upgrade our Disney vacations. Why would we pay more money for a special experience when Walt Disney World already costs so much, you ask? Well, because sometimes they give us a nice break from the theme park craziness, can help us get an educational experience we can share back with the kids’ school ( yes, Disney is educational!) and they always teach us something new, reminding us that Disney is so much more than a theme park! P.S. Here are some extra special experiences we believe are totally worth it! So if you’re looking to upgrade your next Disney vacation with something special, here’s our list. Disney’s Wild Africa Trek in Animal Kingdom was our first special experience, and thank goodness, a birthday gift from sister because it was also kinda pricey! Don’t let the price however deter you, you really won’t experience anything like this anywhere else for cheaper and it all goes to a good cause. You’ll even get to choose which wildlife species the proceeds from your ticket goes to at the end of this 3 hour experience. So if you didn’t already know the Walt Disney Company is a huge advocate for environmental responsibility, sustainability and wildlife protection. You can learn all about their conservation efforts on their environment page. You and the family will be get strapped into vests with cords to keep you safe and you’ll embark on visiting the hippos, learning about the animals, walking across some scary trek-like rope bridges and then settle for lunch at the pavilion overlooking the savanna. The food is wonderful and when you think about the cost of lunch being included with this special experience ticket you are can justify that price tag a little easier. Here’s some of what you’ll get to try. Read our full review of Wild Africa Trek. We recently tried out the Happily Ever After Dessert Party at Magic Kingdom because we absolutely needed to get pictures of the fireworks show. 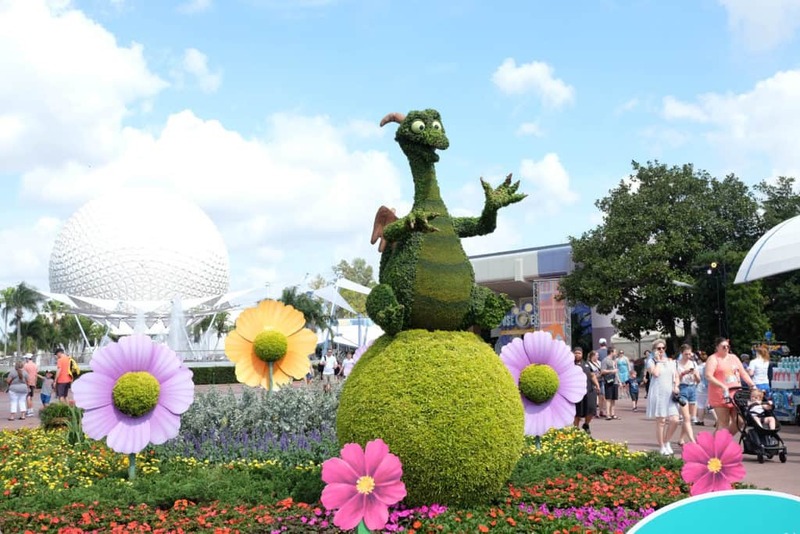 As a perk for being an attendee at the Happily Ever After Desert party guests get a roped off piece of the hub grass from which to view the show. So important if you’re not up to saving a spot 2 hour ahead of time in front of the castle. This event comes complete with sparkling cider, cheese and crackers (which you could totally justify as dinner) and a slew of pastries, cupcakes, cookies, and ice cream to top off your evening dessert fare. We loved this as an extra special upgrade for families because when do you really let the kids have dessert? Or let yourself have dessert for that matter? It’s not a staple in any of our family households so this really put the vacation over the top for us. 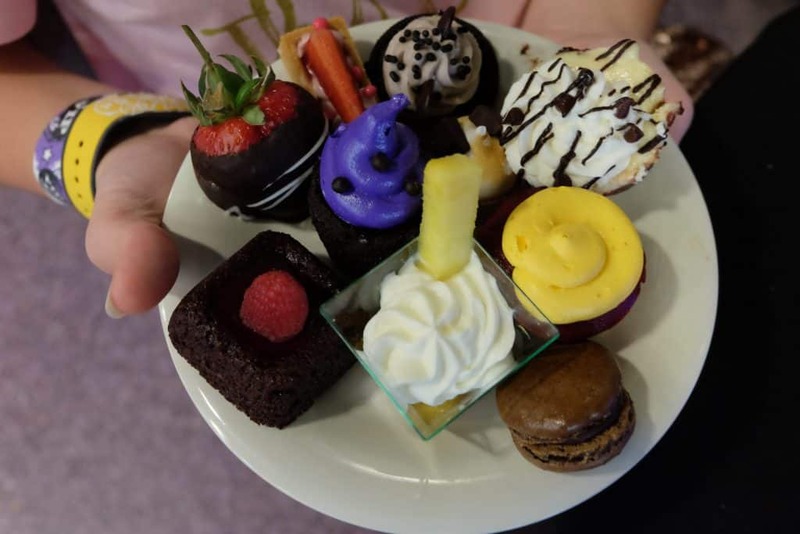 We did think that the offerings were so vast that at one point you just get full, and your sweet tooth has been satisfied. So while we wouldn’t suggest that you stop eating real food for the day, this is an “all you care to enjoy” event. With the success of this dessert party, they’ve been popping up for other events all of the parks. You could check out the Star Wars Galactic Nights dessert party over at Hollywood Studios, the Illuminations dessert party at Epcot or the Rivers of Light dessert party at Animal Kingdom. Read our full review of the Happily Ever After Dessert Party. The Mickey’s Not So Very Scary Halloween Party holds a special place in our hearts as our must do event every single Halloween. Attend once and this may easily become a tradition for you and your family too. As a hard ticketed event it runs between 70-100 dollars a ticket in addition to your park tickets, so definitely a significant investment, but we highly recommend you do it at least once. For the cost of the ticket you can expect access to the park past the 6pm closing for regular guests. So you can stay well into midnight usually with access to the rides, trick or treat trail, and party only viewings of Hallowishes and the Boo to You Parade. You can also dress up in costumes ( though there are rules around this), and get access to special party merchandise and treats only served during the party. For us this event helps kick off the Fall season ( our favorite season). With new tastes, new treats, and new hallowen decoration ideas and songs stuck in our head we always return home thrilled to have Halloween again post vacation. Read our full review of Mickey’s Not So Scary Halloween Party. 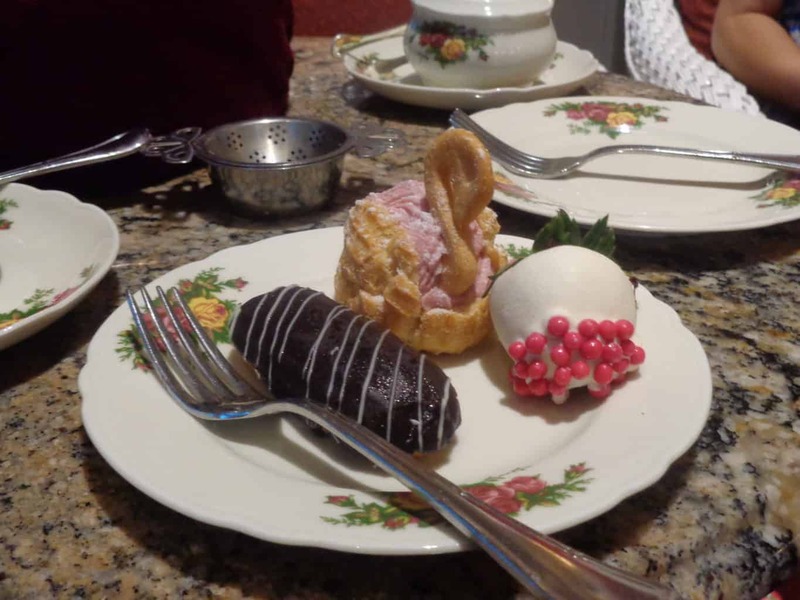 The Princess Tea, or basic afternoon tea at the Garden View Tea Room may not feel like a special experience but it really is. What we love about this most is that it actually can double as a meal. Between the little sandwiches, the pot of tea, the pastries and other nibbles you do fill up pretty fast! It’s also the perfect special experience to help get you out of the parks and somewhere cool and different. The cost is equal to that of a meal so budget it in if you choose to add this to your list of things to do. You do need a reservation for this one. 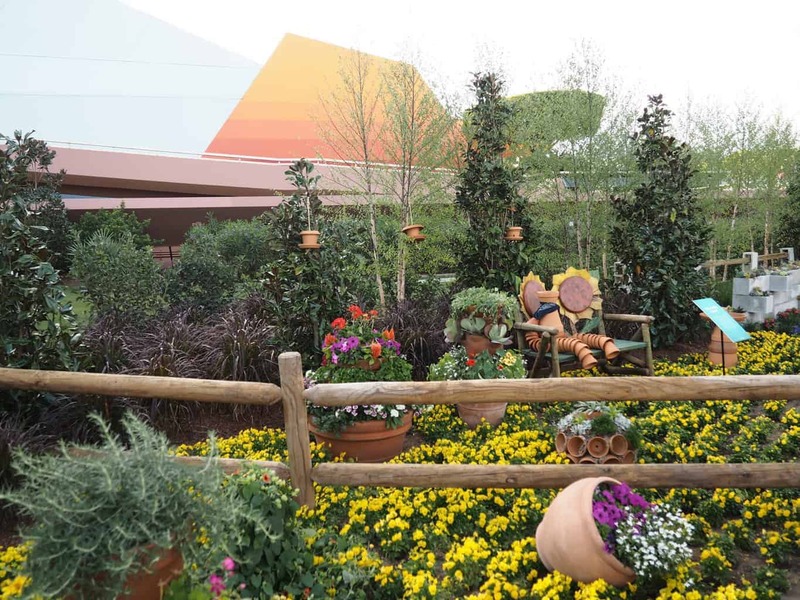 By far our favorite Epcot festival for families, Flower and Garden combines fresh foods and a love of gardening to the mix with a ton of family friendly fun, like the Spike the Bee Scavenger Hunt game and foodie classes that the whole family will love. This event doesn’t cost anything extra. If you have your ticket to Epcot you can hop on over the World Showcase to take part in the whole event at your leisure. Read up on Flower and Garden. Any meal at Be Our Guest works for a great family experience! With three rooms to choose from; the ballroom, library and the West Wing, Be Our Guest has something for everyone. We love every meal here. From the breakfast with pastries to the hearty lunch, to the dinner where you may get to actually meet the Beast. While many Disney Restaurants are great for families, this one really makes the whole experience extra special. Read our full review of Be Our Guest. Of course there are quite a few things we still have not gotten a chance to do! These are the next events we hope to add in to future trips. Since we’ve been visiting Walt Disney World annually since 2014 and have since become annual passholders we’re always trying to take in every last bit of magic that Disney has to offer. Here’s the wish-list lineup of things we’d like to do next! Let us know if you have any great experiences to share so we can add them to our list!